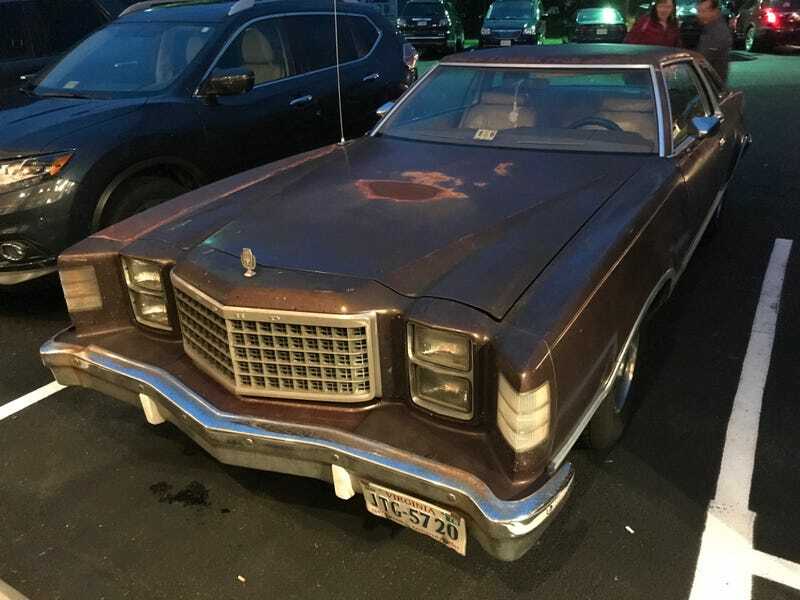 Sorry for the potato phone camera pics, but I was out with family tonight and found a Ford LTD II! The LTD II actually has a special meaning to my family and I, as it’s the car my dad learned how to drive in. This one was a different color and a lot more beaten up than my grandmother’s old one, but my dad was ecstatic to see that at least one is still running. Close up of the LTD II badge.